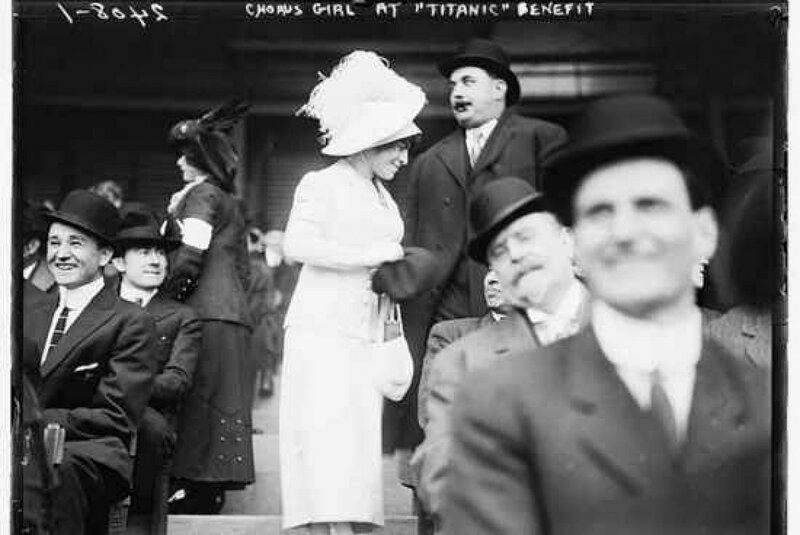 On April 10, 1912, the legendary Titanic, nicknamed “the unfathomable”, leaves the port of Southampton, England, to head to New York City. As everyone knows, the inaugural trip of this colossus was the last. Most of you have surely seen the famous James Cameron movie, released in 1997, with a young Leonardo Di Caprio. However, few people have seen the cold images of this terrible shipwreck that we will show you next. 1. The first photo of the Titanic on the high seas. Some impressive figures about the Titanic. This giant of the seas was 269 meters long and had no less than 885 workers to serve 2471 passengers. It had ten decks and the cruising speed was 21 to 22 knots (39 km per hour). Who said ship, said commander on board. 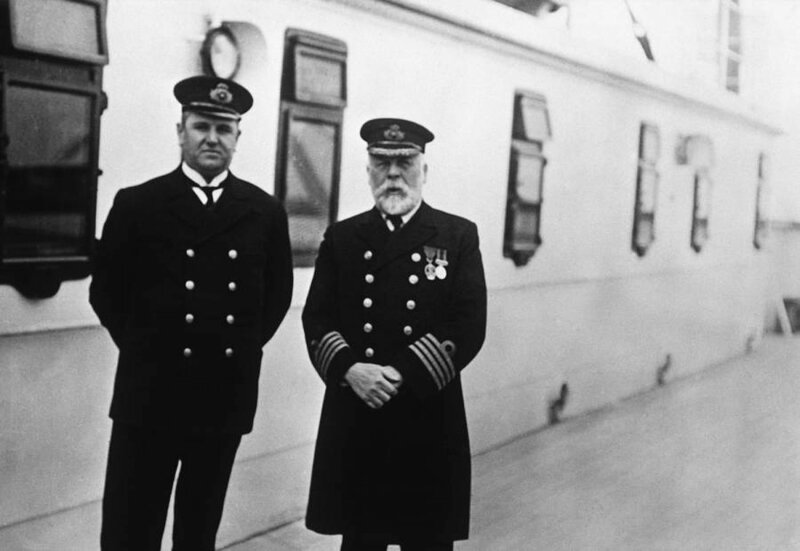 Captain Edward J. Smith (right) and his colleague, Captain Hugh Walter McElroy, aboard the Titanic. 3. Passengers on the bridge. 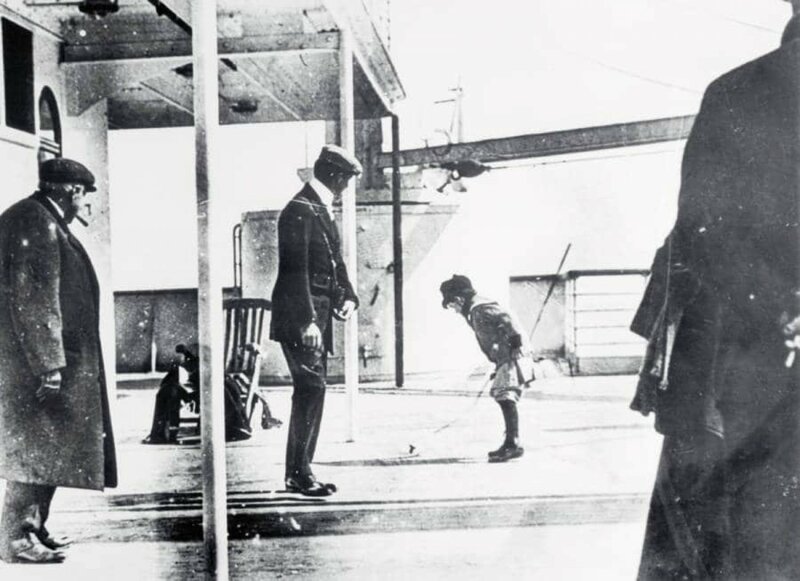 In this photo, we can see how Titanic passengers walk on one of the liners bridges, near the lifeboats, shortly before the disaster. A child playing on board. Here is an image that produces real chills, since it is the Iceberg that sank the Titanic. 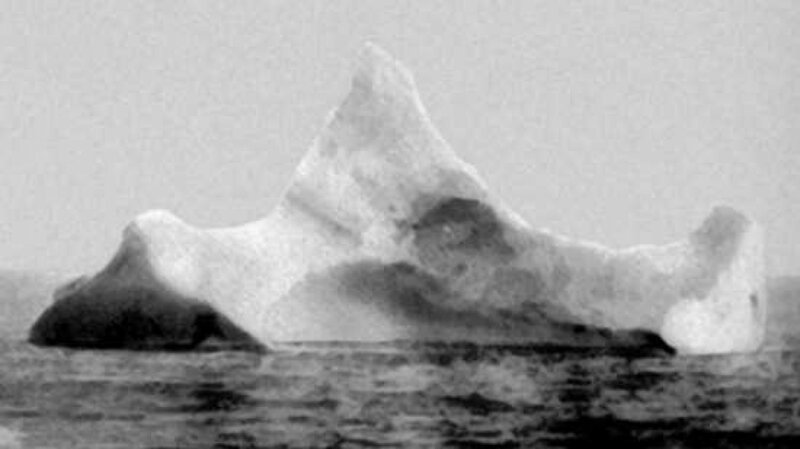 This photograph was taken by the chief commissioner of the ship Prinz Adalbert on the morning of April 15, 1912, a few kilometers south of where the Titanic was producing water. The remains of the Titanic sink into the depths. 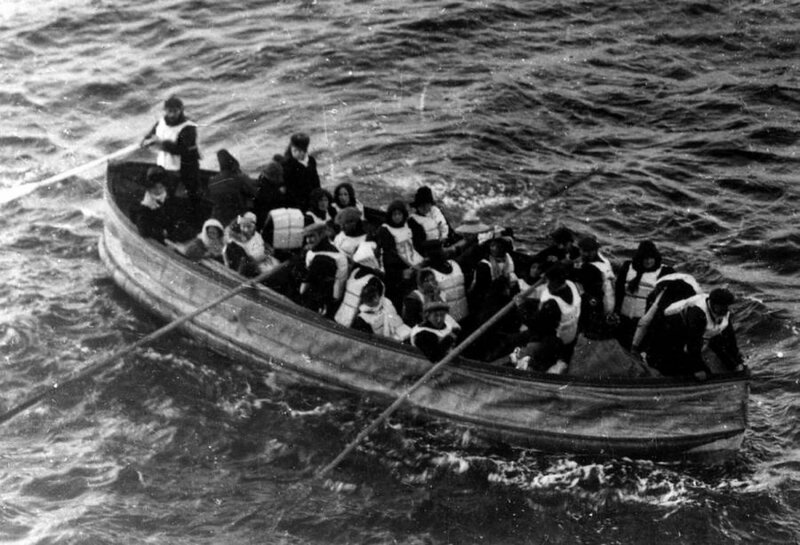 At first glance, this image shows nothing in particular, but the truth is that aboard this lifeboat the last survivors of the shipwreck traveled, while the remains of the ship disappeared into the waters of the ocean. The Carpathians to help the survivors. At 2:20 in the morning, the Titanic, divided in two, had already sunk. 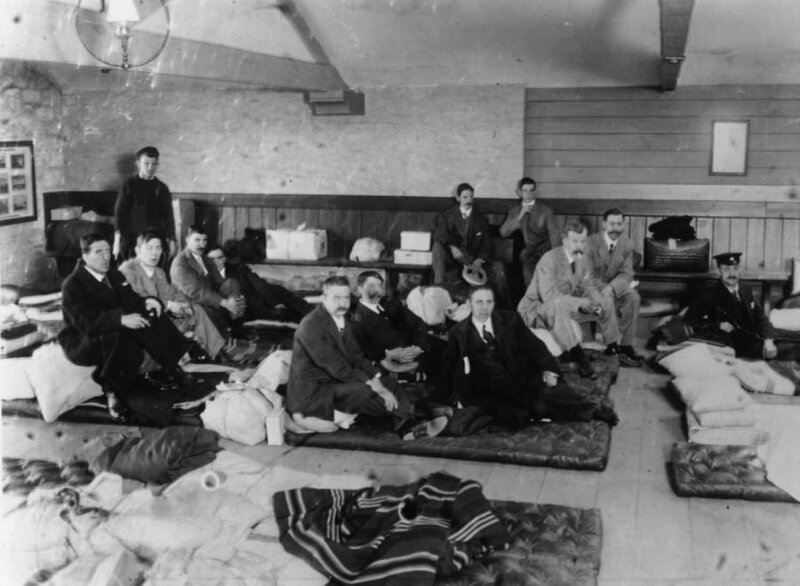 About an hour later, the Carpathia ship arrived to rescue the survivors. A young family of survivors. 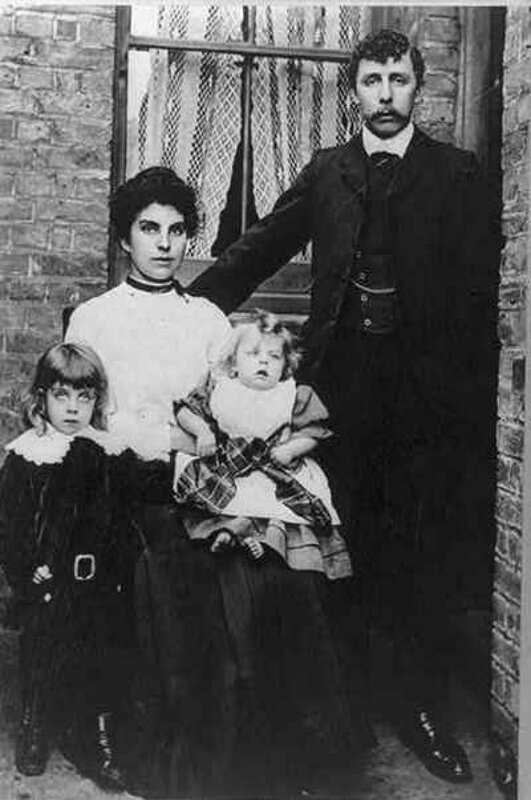 This young family survived the Titanic accident. The trauma caused by this horrible catastrophe can be read on their faces. A mother and her daughters saved. Some passengers had more luck than others. This photo shows Miss Charlotte Collyer and her daughter Marjorie. Both survived this terrible collapse. 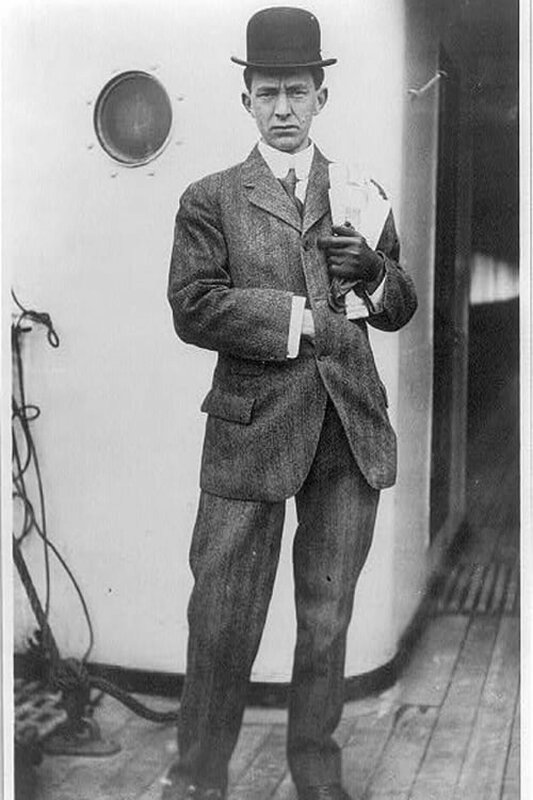 This photo is of Stuart Collett, another survivor of the Titanic. A total of 1,517 people perished on the ship. 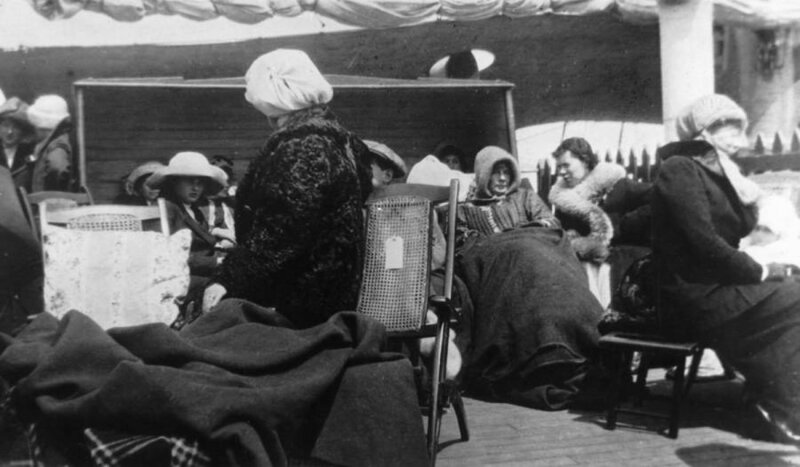 The orphans of the Titanic. They are Michel, four years old (left) and Edmon Navratil, two years old (right). 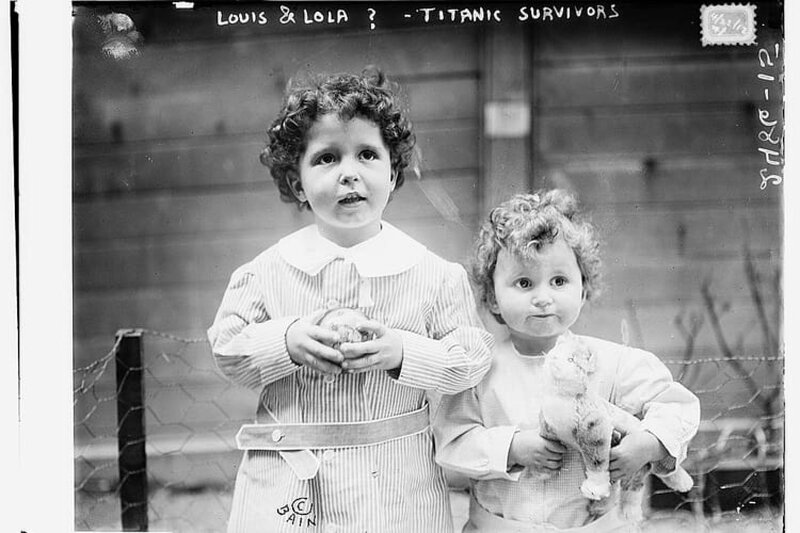 These two brothers have unfortunately been nicknamed the “orphans of the Titanic,” since their father died on the ship. 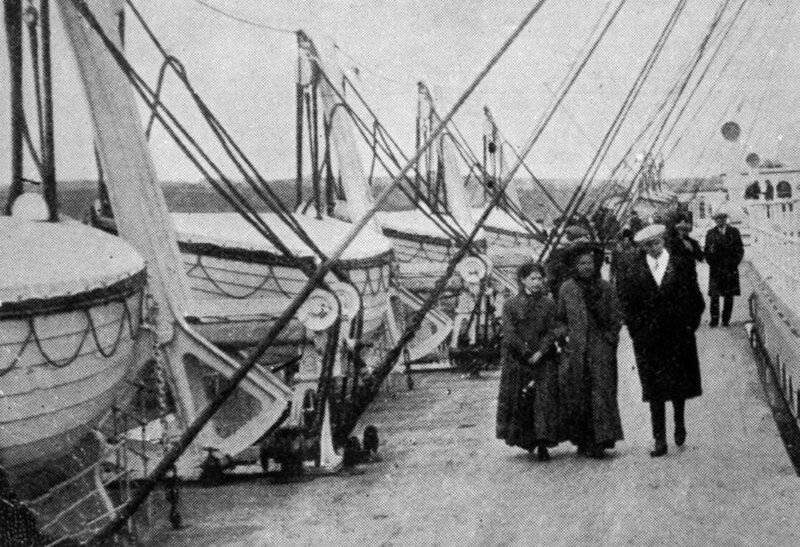 Some of the survivors of the Titanic were received at Millbay Docks in the English city of Plymouth. Their faces reflect a strong lassitude and seem marked forever. In front of the seat of the white star. White Star was the main shipping company between the late nineteenth and early twentieth century. He was the co-owner of the Titanic. 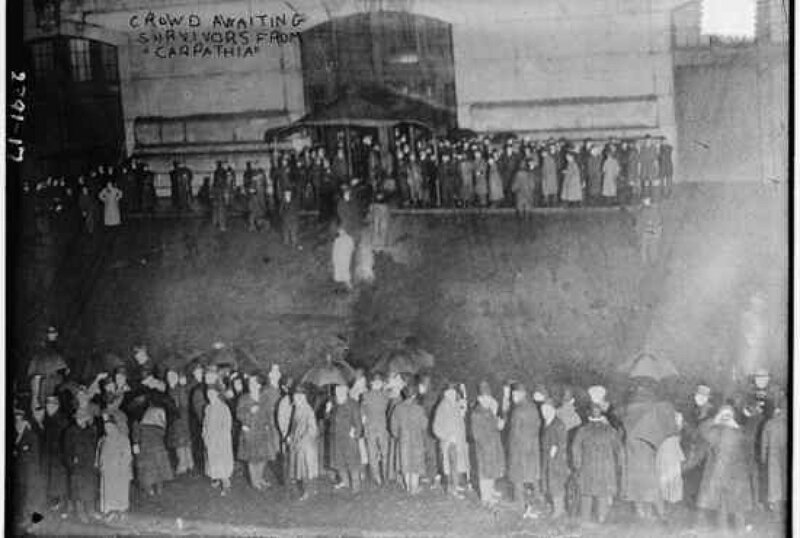 In this photo, you can see a demonstration in front of the company’s headquarters just after the announcement of the disaster. 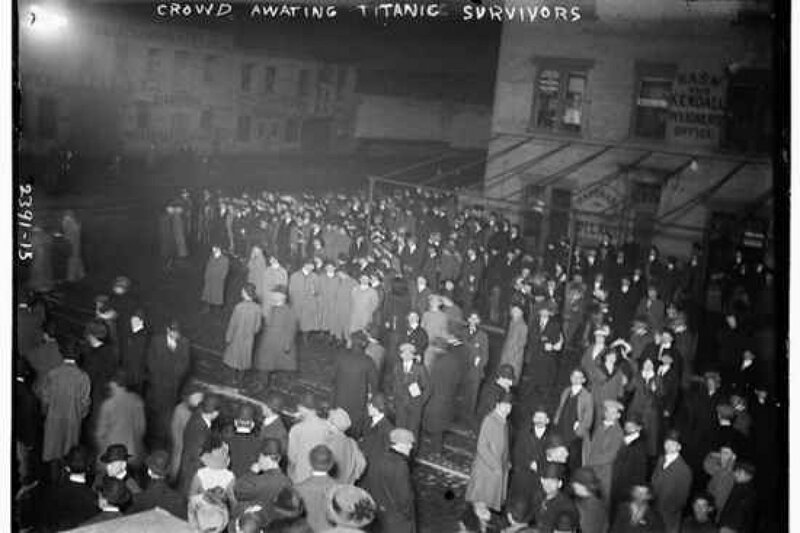 The crowd waits for the survivors. This photo does not need explanation. We can perfectly imagine the anxiety of the parents who wait for their relatives without knowing if they survived the sinking or not. Another photo of a crowd. There always seem to be more people than in the previous image and with a greater state of anxiety. The first page of the Evening News. 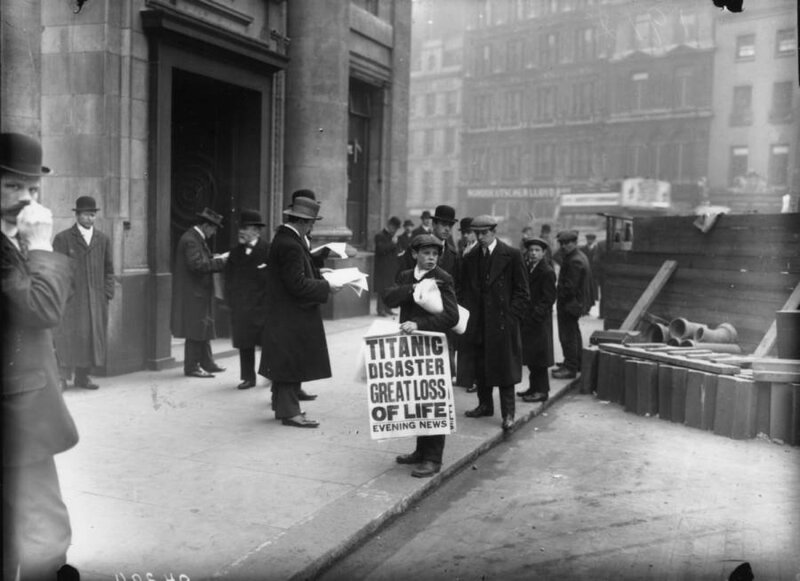 A boy who sells copies of Evening News on the street, in which the title of Titanic Catastrophe is written, a great loss of life. Actions dedicated to support survivors. In the photo, host George M. Cohan (left) selling special copies of the American newspaper in New York on Sunday to help financially support the survivors and their families. A baseball game to raise money. In an effort to help the families of the victims, a Yankees-Giants baseball game was organized with the help of more than 14,000 people. A trophy for Arthur Henri Rostron. 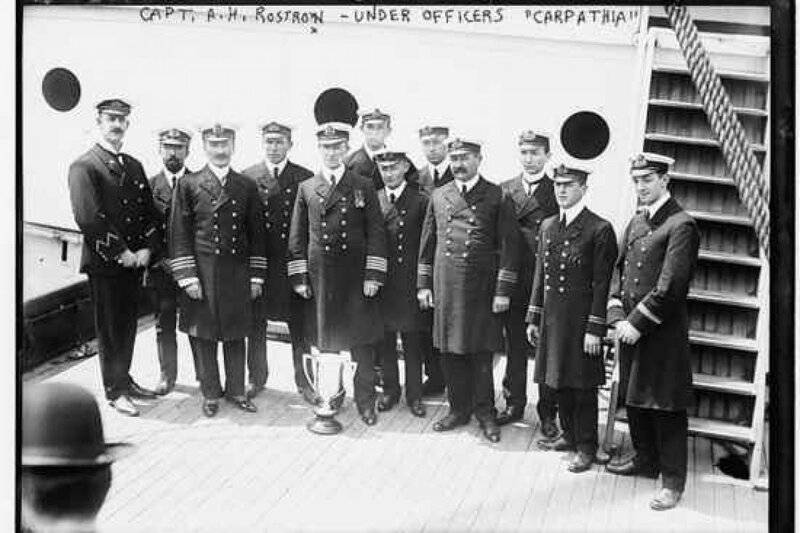 Arthur Henri Rostron was the captain of the ship Carpathia, rescued from the survivors of the Titanic. The latter wanted to give him a trophy in the form of a silver cup in May 1912. 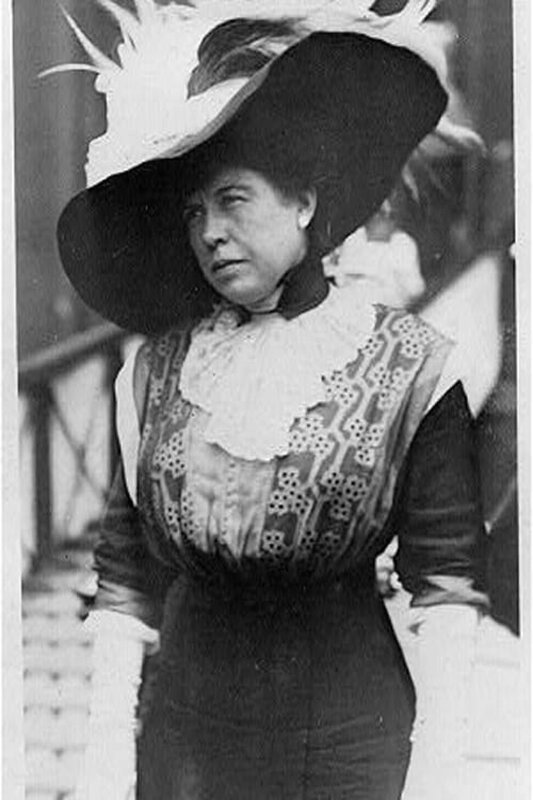 Funeral services were organized at the Seamen Church Institute in New York. 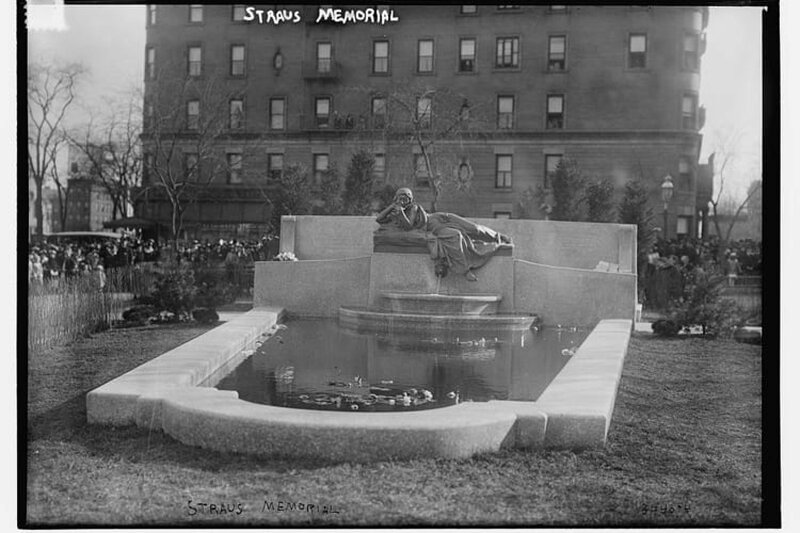 The Straus Park Memorial in New York. This monument was erected in memory of the couple formed by Isidor and Ida Straus, killed aboard the Titanic by refusing to separate.